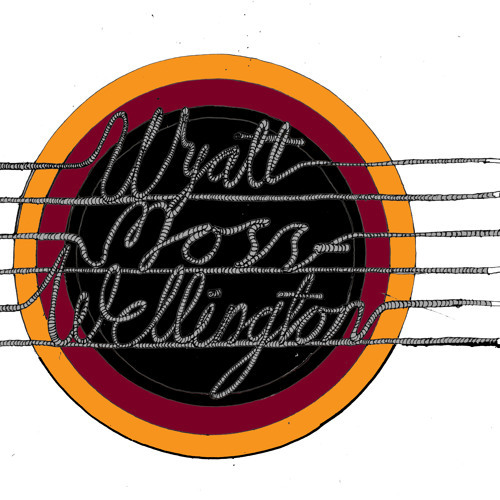 Wyatt Moss-Wellington is a progressive folk musician, an idiosyncratic vocalist and multi-instrumentalist, a composer of humanistic narratives in songform and a swell bloke. His third studio album, Sanitary Apocalypse, releases March 1, 2014. He provides mandolin and vocal services to bombastic Sydney newgrass group The Lunch Mothers. Moss-Wellington’s second album, Gen Y Irony Stole My Heart, released in 2011 and has been called “sophisticated … touching … enchanting … beautiful” (Sydney Morning Herald); “He can reach places with his writing that others can’t” (Alternative Media Group); and, “Should come with a sticker that reads: Warning: guaranteed to destroy all your staid, stereotypical notions of folk music for good … unerring humanity … scholastic rigor … downright titillating … deranged therapy” (Progression Magazine). Moss-Wellington has recorded and produced singles for Gold Star Band, Nina Stamell, Bud Petal and Christian Perrin, as well as providing guitar and harmony vocals to Expressionist-jazz-pop outfit Wartime Sweethearts’ debut Pancake Orion. In 2012 he provided lead vocals for Robert Moss’s project Skeletons. The Sydney Morning Herald’s John Shand said of Moss-Wellington’s 2009 debut, The Supermarket and the Turncoat, “Challenging preconceptions of song structure, guitar and vocal techniques, subject matter and stylistic homogeneity … the listener is bounced between satire and aching tenderness, power chords and delicate finger-picking - sometimes all within one line! Moss-Wellington makes most of his peers sound like they have never fully considered the breadth of options open to them.” Moss-Wellington has been playing piano for as long as he can remember, guitar since 13, mandolin since someone handed him one on his 21st birthday and voice since he learned to squawk at his sister and parents almost immediately on disembarking the womb. He grew up picking out Loudon Wainwright III, Richard Thompson and Nanci Griffith folk songs on his guitar before being exposed to avant-progressive and Canterbury scene music. Moss-Wellington writes at journalisnt.net and recently completed an MA research project on humanism in the cinema of John Sayles at the University of Sydney.